Beatrix Potter's amazing universe of animals dressed in human clothing has taught and entertained children for over a century. This volume brings together twenty of Potter's tales and verses in one book. Hear Peter Rabbit outwit old Mr. McGregor, and Squirrel Nutkin come within a tail's length of being an owl's dinner. Listen as a family of mice save the kind tailor of Gloucester, and as Peter and Benjamin Bunny battle a barn cat. Learn how one fierce rabbit is set on the road to honesty. Although each story stands on its own, several are linked together by events and characters. 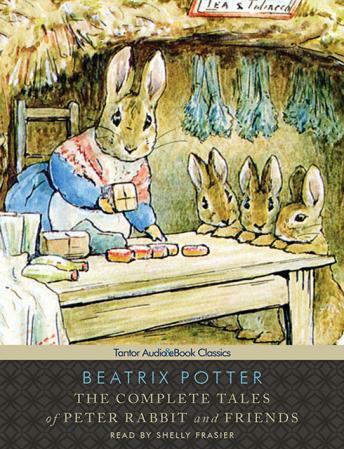 The world of Beatrix Potter is as appealing now as when it was first created at the turn of the twentieth century.